The certifications achieved through the years attest the persistent perfection research: awareness of one’s own skills joined with continuous improvement necessity. 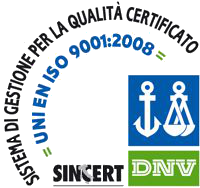 Stil Legno, in order to manage business processes, improve efficiency of product realization and rendering of service, achieve and increase customer satisfaction, makes use since years of a ISO 9001certified quality system, updated in 2008 to the latest regulations (UNI EN ISO 9001:2008). At present, thanks to the CE marking of the frames, mandatory since a few years, every producer is obliged to test the products before introducing them on the market; Stil Legno has tested its range of products with the most important accredited laboratories, achieving very high results in product classification. During 80s, when still no regulation provided performing tests, Stil Legno already had tested its frames with the most important laboratory: Rosenheim in Germany.